Home / Uncategorized / Are you looking to get fit and healthy? Do you want to be surrounded by supportive people who will help you achieve your goals? 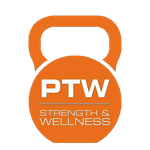 Here at PTW we support being strong at any age whether you are 30 years of age or 70 years of age and our goal is to make sure you are finding time in your busy life and work schedule to make time for yourself and be active and feel good. We make sure you can keep fit not only at the gym but also at home and with our home workout book and nutrition manual you can be active and eat right even when you are not at the gym. You can be fit and strong at any age and we really do take pride in making sure all of our clients receive 24/7 support towards their health and strength journey and we will be here to support you along the way. Our Free workout and nutrition plan will make sure you stay on the right track no matter where you are.